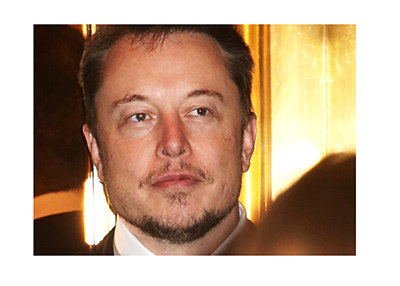 What a couple of days it was for both investors and short sellers in Tesla, Inc.
On Friday morning, shares of Tesla were hammered after the SEC revealed that they were pursuing a civil action against Chairman and CEO Elon Musk. Their action was in regarded to the "funding secured" Tweet that Musk made earlier this year, in which he claimed that there was the financing in place to take Tesla private at $420. Musk's Tweet sent shares of Tesla Inc. higher before things started to fall apart. Was there a deal in place? Who was involved? Who was providing the financing? The SEC alleges that Musk made false and misleading statements in regards to the "buyout". According to reports, Musk, Tesla and the SEC had agreed to a settlement deal before Musk inexplicably decided to pull the plug. People scratched their heads after the terms of Musk's deal leaked to the press. Why would he pull the plug on such a sweetheart deal? According to reports, the deal called for Musk to temporarily relinquish the title of Chairman and pay a multi-million dollar fine. Well, less than 48 hours after Musk pulled the plug on the deal, the SEC revealed that Musk and Tesla had agreed to a settlement. Per the terms of the deal, both Musk and Tesla will pay a fine of $20 million. In addition, Musk will not be able to serve as Chairman for three years, and Tesla will need to appoint two independent directors to the board, as well as implement "sweeping governance changes". Today's news was obviously bad news for short sellers, as many were likely caught way short after Friday's action. Longs, on the other hand, are rejoicing, buoyed by Musk's quick reversal re: the settlement. In the end, this news doesn't change that much, as Tesla's main issues are still its finances and its production numbers.